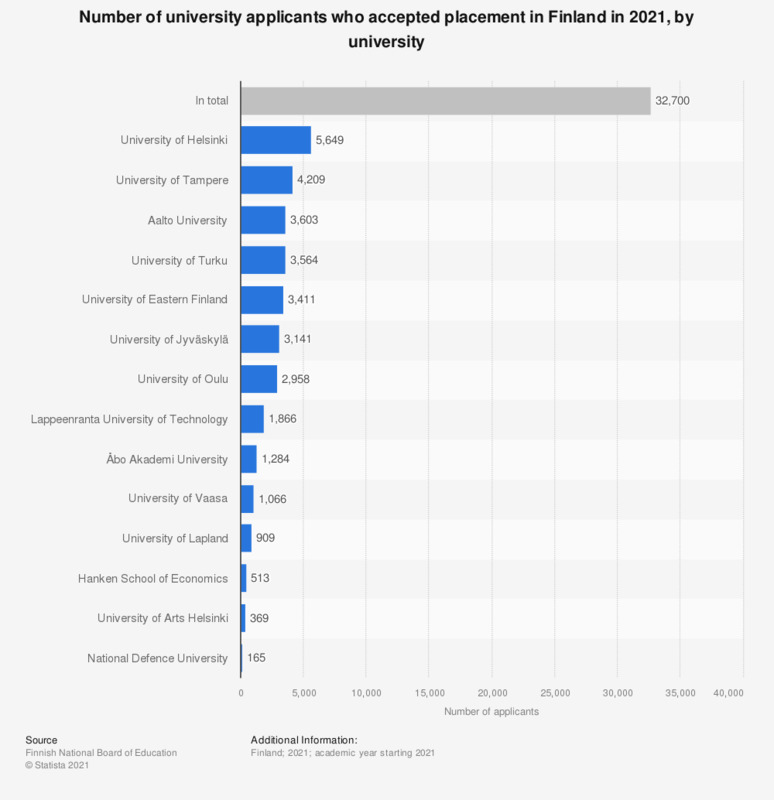 This statistic shows the number of applicants who accepted the placement in Finland in 2017, broken down by university. During the period under survey, 25 thousand people received and accepted the study placement. The figures refer to the number of students who have accepted the university's offer of admission, respectively. Everything On "Education in Finland" in One Document: Edited and Divided into Handy Chapters. Including Detailed References. Statistics on "Education in Finland"